Lindsay was appointed a director of Bidvest on 10 May 1992. He is a director of numerous Bidvest subsidiaries, chairman of the Bidvest operational divisions and chairman of Bidvest Namibia. During his Bidvest career he has been Group operations director, managing director of Bidvest Steiner and was responsible for forming the Bidvest Services division in 1994. 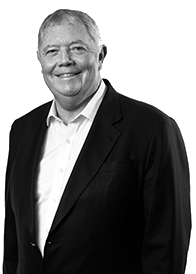 In February 2011, Lindsay was appointed CEO of Bidvest South Africa and in May 2016 was appointed chief executive of Bidvest Limited after the unbundling of the Bidvest foodservice division. Lindsay is a non-executive director of Adcock Ingram Holdings. Mpumi was previously chief director in the Gauteng provincial government. 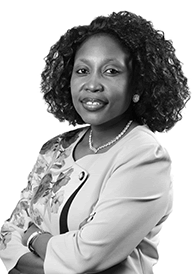 During her time at Bidvest, she has held various senior management and executive board director positions such as general manager business development, divisional director business development, corporate affairs director and sales and marketing director. She is a director of numerous Bidvest subsidiaries. Appointed as non-executive director of the Adcock board of directors on 23 November 2017. Was appointed CEO-designate on 4 March 2019. 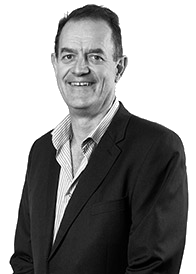 Mark joined Bidvest in May 1997 and has held various financial positions within Bidvest Freight. 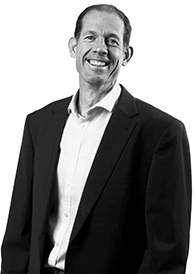 Since 2012, Mark held the position of chief financial officer of Bidvest Freight. Mark was appointed to the Bidvest board as chief financial officer, effective 1 March 2018. He serves on all South African divisional boards, divisional audit committees and serves as a trustee on the various Group retirement funds. 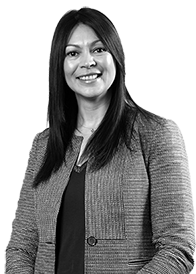 Gillian previously held various operational roles in customer service, operations, training and human resources. During her time at Bidvest, Gillian has held various senior management roles including commercial director of Bidtravel and is the current Group transformation executive. Gillian is a director of numerous Bidvest subsidiaries.